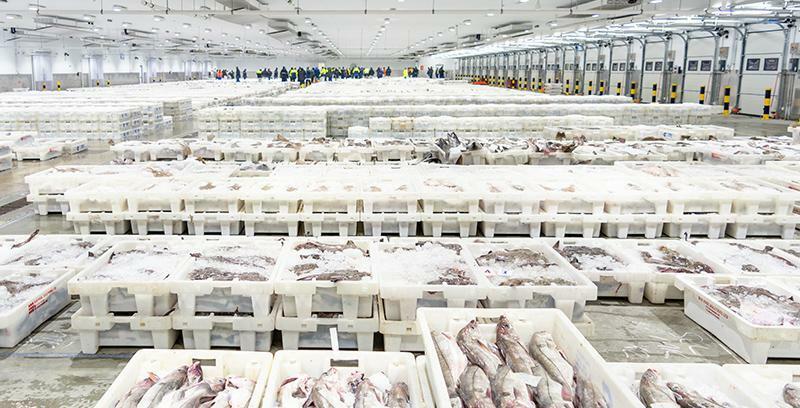 Boxes of haddock front this publicity shot of the new (2018) hall at Scotland's Peterhead fish market. Peterhead is the UK's top haddock port. Haddock is a cousin of the cod. It’s in a family called the gadoids which includes coley, whiting and pollack. They all look reassuringly fishy and are quite prolific when left to their own devices, with mature females typically capable of laying a million or more eggs every year. 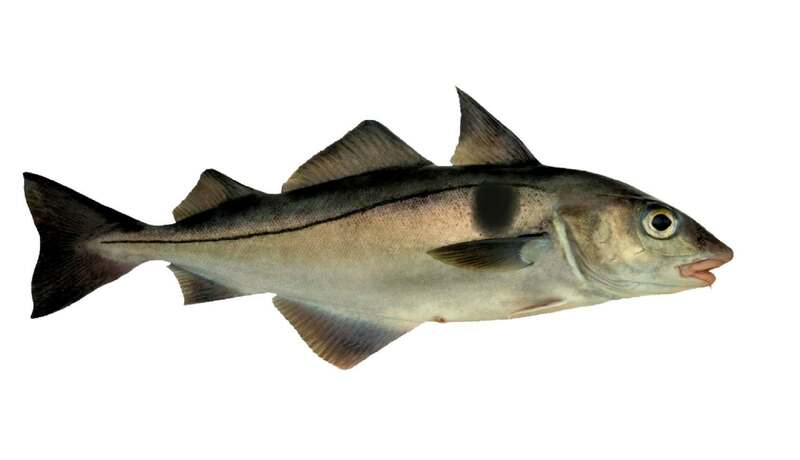 Haddock is silver grey with a prominent black lateral line and a trademark black spot behind its gills. It doesn’t grow as large as the cod. The biggest cod on record weighed 96 kilos and measured 1.8 metres. The biggest haddock on record (reported from Iceland by an authoritative sources - ICES - in 1929) was supposedly 17 kilos and a little short of a metre. 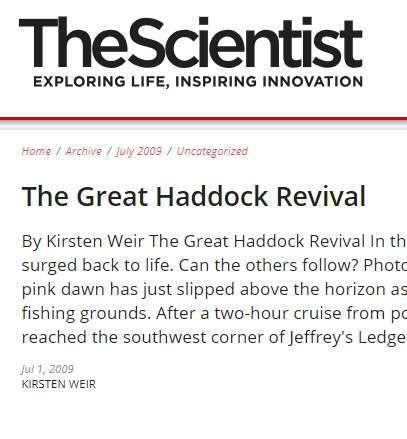 However, apart from a 1949 report from Masschusetts of a 14kg haddock, it would seem that no other haddock over 10 kgs has ever been caught, and the world rod-caught record is under 7 kgs. Haddock and cod, often in close proximity to one another, are both found in the North Atlantic with two separate populations of the same species; the first in the north east around Britain, Iceland and Norway (spilling round into Russian waters) and the second north west off Canada and New England. In terms of the quantity caught, haddock is one of the most important fish landed in the UK but much larger quantities are caught off Norway and Russia. The total European catch has been very steady over the last ten years at 300,000 – 400,000 metric tonnes with Norway and Russia accounting for two thirds of this figure – over 100,000 tonnes each in 2016. The UK catch was 34,000 tonnes and Iceland's is similar. There was also a substantial haddock fishery off North America. This was dreadfully overfished for decades until in the 1990s, alongside the cohabiting cod stock, it collapsed. However it has begun to revive quite promisingly aided by a supernatural expansion of the stock in 2003 when the number of hatchlings surviving to the age of one leapt to 40 times its average since the collapse (from 20 million haddock to 800 million). Such fluctuations are not unusual in fish demographics; 2013 saw another, of about half the 2003 magnitude. It is thought that the trend reflects natural replenishment untroubled by fishing, enhanced in 2003 by a chance variation in ocean currents which minimised the number of hatchlings lost to the deep ocean. All haddock fishing is subject to detailed management plans. The EU and Norway agreed a plan for the North Sea which came into effect in 2005 and is updated regularly. Russia and Norway have an agreement covering the Barents Sea. Iceland manages its stocks independently. The Marine Conservation Society rates 18 different sources of haddock based on where caught and method of fishing. 12 are assessed at its most sustainable ratings, four are mid range and two are rated avoid. Haddock is of course one of the most popular choices in fish and chip shops and in some places including the fishing ports of Aberdeen and Grimsby, the favourite. 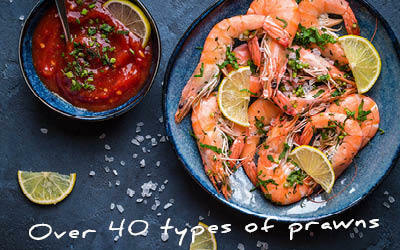 It is also far and away the most popular white fish for smoking, with three important sub-smokes based on the precise method of and preparation for smoking. The Arbroath Smokie was in fact invented in Auchmithie but migrated to nearby Arbroath 300 years ago. It’s a small haddock which has been cleaned and headed but then left on the bone before being hot-smoked – that is, cooked and smoked at the same time. Nevertheless, you’d normally reheat a smokie before serving it. 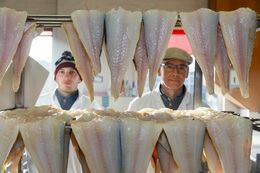 The Smokie remains unique to Arbroath, with out-of-town pretenders choked off by the award of Protected Geographical Status in 2007. Finnan haddock is supposedly named after the village of Findon on the coast near Aberdeen. Finnan haddocks are like Arbroath Smokies in that they are smoked on the bone but they are normally larger than Arbroath Smokies and are cold smoked instead of hot smoked. These two are quite rarified items, but plain smoked haddock fillet is not. It’s available everywhere, normally coloured bright yellow by the use of dye to signal to the shopper that this is smoked fish. Smoked haddock fillets are produced almost wherever haddock is landed, usually in modern high volume smoking kilns. However Grimsby developed a special reputation for this item led by two or three smokehouses with an intense focus on quality including still using traditional brick chimneys and preferring to leave the dye out, resulting in a pale straw colour which is a mark of top quality smoked haddock. A kiln take 2-3 hours to smoke haddock. Smoking in a brick chimney takes 8 hours, resulting in an unquestionably finer product. 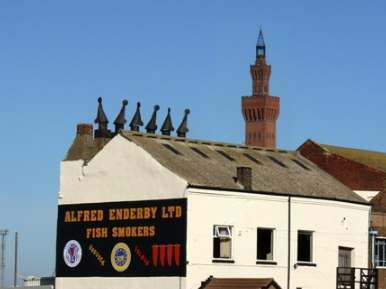 In 2009, following a 10 year campaign, the EU awarded Protected Geographical Status to Grimsby Smoked Fish. The Fish Society’s (fresh) haddock fillets normally come from a single Norwegian freezer trawler which fishes by hook and line. Our haddock fillet steaks are from fresh haddock normally landed in Iceland or Norway. Our smoked haddock fillet is from Grimsby and are so are our Finnans. TRAC. 2018. Eastern Georges Bank Haddock Status Update. TRAC Status Update 2018/02.